If a deal is reached the African chrome producer would use the capital to expand operations and further production. Moti Group, the majority stakeholder in Africa’s largest chrome mining company, has asserted African Chrome Fields’ two partners will retain control. “We want to bring in new partners, new blood, new capital because there is only so much myself and my partner can do,” said Zunaid Moti, founder and namesake of the Moti Group. 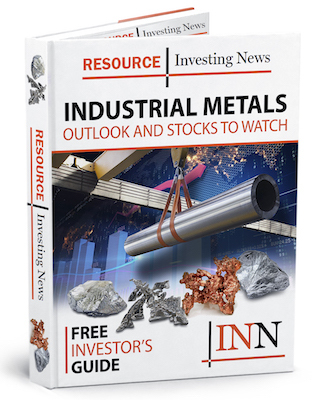 Aside from being the continents premiere chrome producer, African Chrome Fields is hoping its state-of-the-art aluminothermic plant will entice perspective partners to team up with industrial metal miner. The plant, which officially opened Wednesday (July 25), will initially produce 300 tonnes of ultra-low carbon high-grade ferrochrome (ULCHGFeCr). When it swings into full production, the technologically-advanced plant is expected to ramp-up production to 600 tonnes of ULCHGFeCr. One of the key benefits of the new process is that it requires no electricity, while allowing the company to increase the economic value of the chromite it mines through beneficiation. The aluminothermic process is also greener and more environmentally friendly than traditional chrome mining. It also creates industrial by-products that will be sold as a secondary income stream. “Zimbabwe currently sits on over 12 percent of global chrome reserves and we want to help the country fulfil its true potential as a major global player in the production and beneficiation of this vital stainless steel ingredient,” said Ashruf Kaka, national projects liaison officer for African Chrome. With the new plant, African Chrome expects to double output of chromite concentrates from 360,000 tonnes to 780,000 tonnes a year by December. The chromite concentrate produced in Zimbabwe will be transported by road to ports in Mozambique and sold to Glencore (LSE:GLEN) until 2030.